I love this dish but never knew its origins. This dish allegedly hails from Northern China. I say allegedly because a lot of Chinese recipes have gone through so much alterations that they are just a shadow of what they originally were. Also, there is a non-traditional Chinese ingredient here: ketchup. Although ketchup is much used in Chinese cooking today, it does not hail at all from ancient China. The souring agent used then was vinegar. Ketchup is the ingredient that makes Chinese food so loved by a lot of Westerners. It is the base of many sauces that calls for a sweet and sour element. 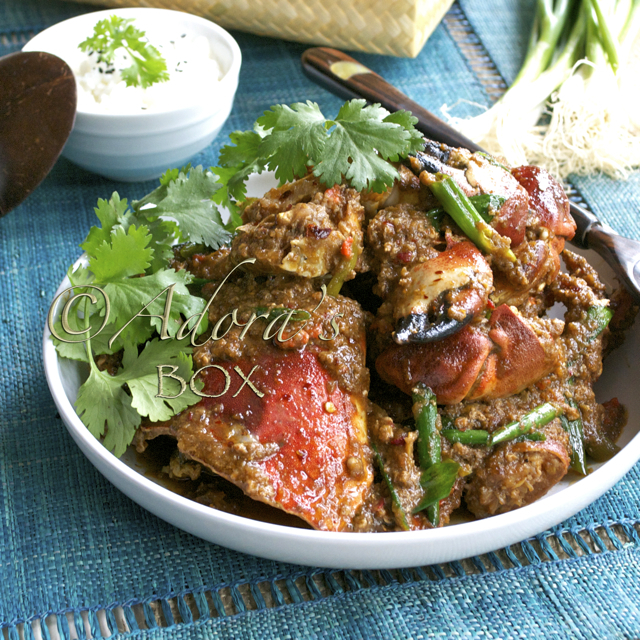 Mixed with Chinese ingredients, it blends well with the other flavours and contributes the tangy taste aimed for. It does just that to this dish without adding too much sourness. This dish is very simple, easy and cooks in no time. It is one of those dishes where the rewards surpass the effort. A few ingredients and a few easy steps produces a dish that no one will dislike. The key point is in the frying of the prawns. Frying in hot oil toasts the shells and brings out its best flavour. It then gives that taste to the sauce when cooked together. The best way to eat shell-on prawns is with your fingers. It is the direct contact with the food that people find alluring about it. The sauce outside the shell is very tasty, so don't be shy to lick that. There is a lot of delicious flavours inside the head where there is a roe-like substance and that is my favourite part. The meat should stay creamy, not tough. I can't find enough words to describe how delicious it is with the sauce. As a finale, lick your fingers. Don't be shy. There's no shame about it. There's no point in losing that last bit of heaven. Trim the antennae, legs and sharp points on the prawns' heads. Mix the salt, pepper and corn flour. Add to the prawns and stir to coat. Heat up a frying pan and add in enough oil for shallow frying. Fry the prawns, a few at a time, on medium high heat for 2-3 minutes until they are bright red in colour. They don't need to cook completely at this point because they are going to be cooked again in the sauce. Set aside. In a bowl, disperse the corn flour in the water. Add in the ketchup, sherry, soy sauce, brown sugar, sesame oil and chilli oil. Blend well and set aside. Heat up a wok. When hot, add the cooking oil. Add in the garlic and ginger and stir fry for 1 minute. Pour in the sauce mixture, bring to a boil while stirring until thickened. Add in the fried prawns and the white parts of the spring onions and simmer on low, covered for 5 minutes. Add in the spring onions and simmer uncovered for another minute. 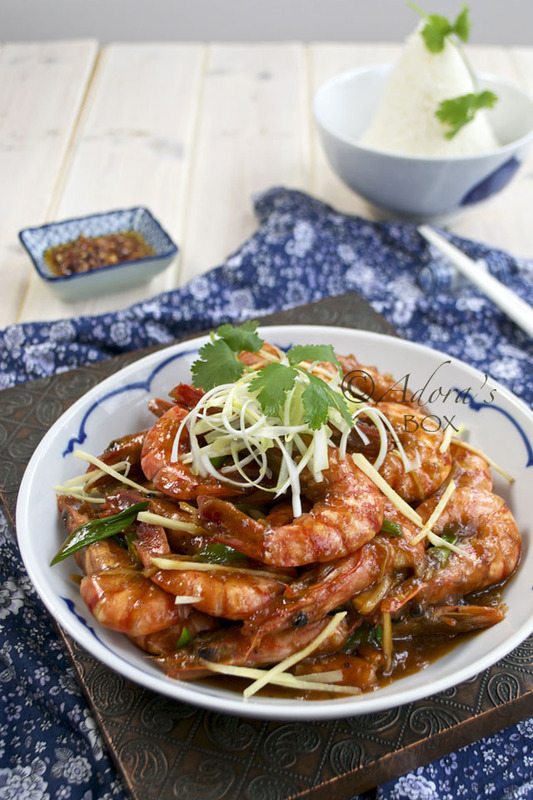 Do not simmer for too long as the coating of the prawns will melt resulting in a very thick sauce. Transfer to a serving dish. 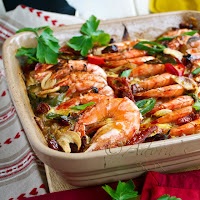 Hi Adora, these prawns sure a winner among other dishes on the dining table! Looks so delicious and tasty. I love prawns so much, Mel. I think the best prawns are the huge, creamy ones in Malaysia. You are so lucky. Har Har Har! That's the prawns laughing!!! Haha Alvin. Sounds like my laughter after eating it. I'm so happy when I eat prawns. Hi Adora, your prawns look very appetizing !!! Wow Adora this is incredible! I had no idea ketchup was used in modern Chinese recipes. I'm not a huge fan of sweet and sour chicken so I wonder if it's because of the ketchup. 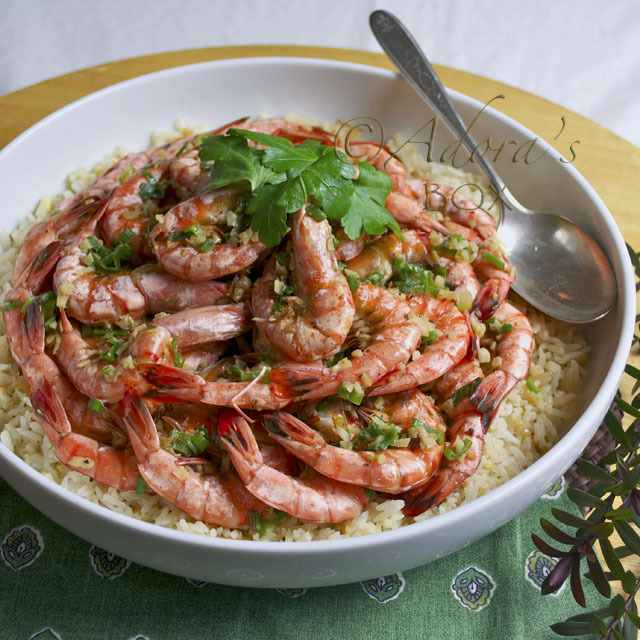 Your prawns look to die for -- thanks for sharing! That is very unusual seeing ketchup in an Asian recipe! These prawns do look amazing! 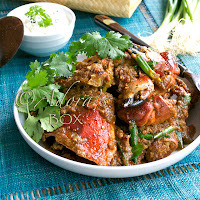 I would definitely have to call this recipe "finger-licking good"! Question: Since shrimp does cook so fast, could one bypass the frying step and just cook the shrimp in the sauce? How do you think that would affect the outcome? Hi MJ! The frying step crisps up the corn flour and the prawns. The sauce adheres to that and makes a sticky glaze. 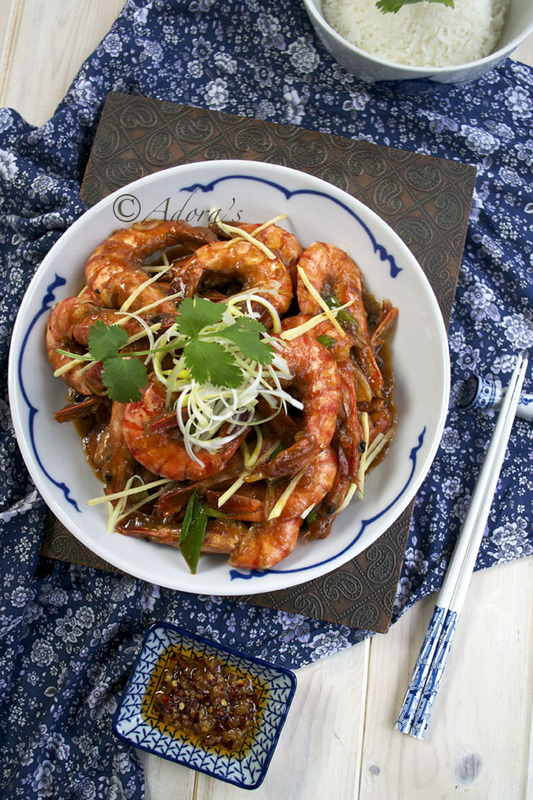 Sure, you can stir fry the whole dish, adding the sauce mixture after stir frying the prawns. 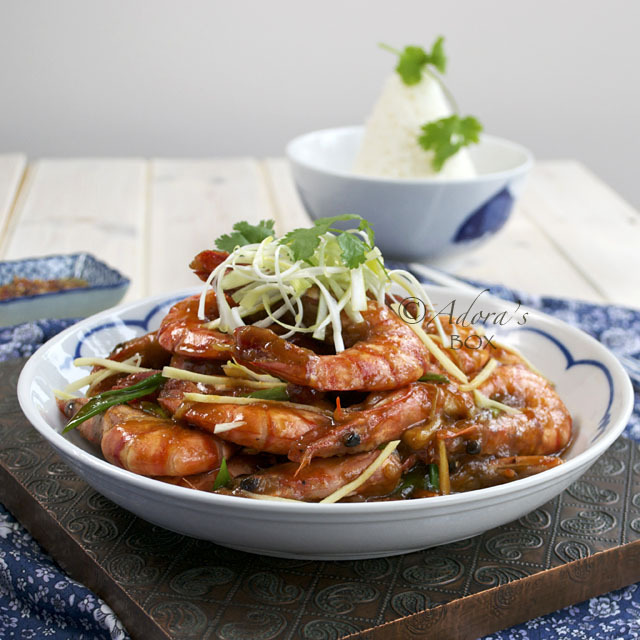 You will lose the toasted fried prawn taste but it will still be good.